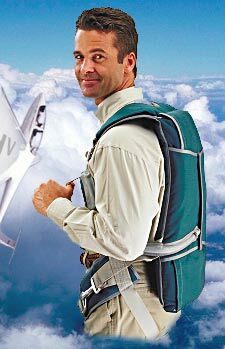 The Mini Softie is an extremely small, lightweight and comfortable backpack parachute system designed for use in today’s restricted cockpit environments. It is available in both a 15″ and 16″ wide versions*. The 16″ reduces the thickness to about 2” that is ideal for cockpits with limited room fore and aft. For use by persons weighing up to 240 lbs. 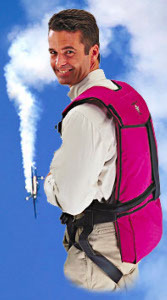 Available with your choice of conventional or aerobatic harness. *16″ wide container is 2.00″ thick x 16″ wide x 23″ long. The Micro Softie is a narrower and shorter version of the Mini Softie. It is designed to fit and stay secure over the shoulder of smaller individuals. Available as either a 180 lb. or 240 lb. version. 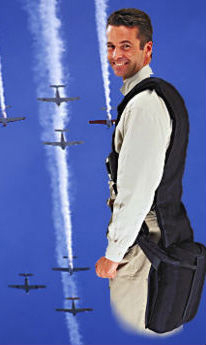 Available with either our Conventional or Aerobatic harness. A wedged shaped version of our popular Mini and Micro Softies, the Wedge Softie is designed specifically to add lumbar and sacral support during high, positive G maneuvers. Ideal for the upright seating found in Pitts style seating. Available in either 180 lb. or 240 lb. versions. Available with either our standard H harness or our unique crossover style Aerobatic Harness. Container specifications: 2 1/2″ thick at bottom, 1/2″ thick at top x 15″ wide x 23″ long. 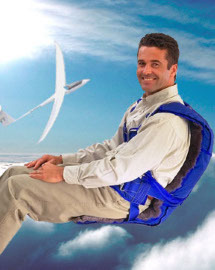 The chair style Long Softie is designed to conform to and maximize the comfort of the contoured seating found in today’s high performance gliders and aerobatic aircraft. Container specifications: 2.25″ thick x 13″ or 15″ wide x 35″ long. 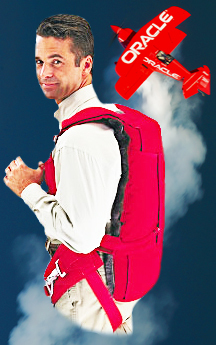 The Seatpack Softie is for use in aircraft that do not have any room for a backpack style parachute behind the pilot. Persons weighing up to 240 lbs design the Seatpack Softie for use. We now offer the SEAT PACK Softie in a Wedge version that is thicker at the front and thinner at the rear that allows for greater headroom. Container specifications: 15″ wide 14″ fore & aft 2 1/2″ thick.